See our full range of cat toys and other accessories here - our new and improved store! 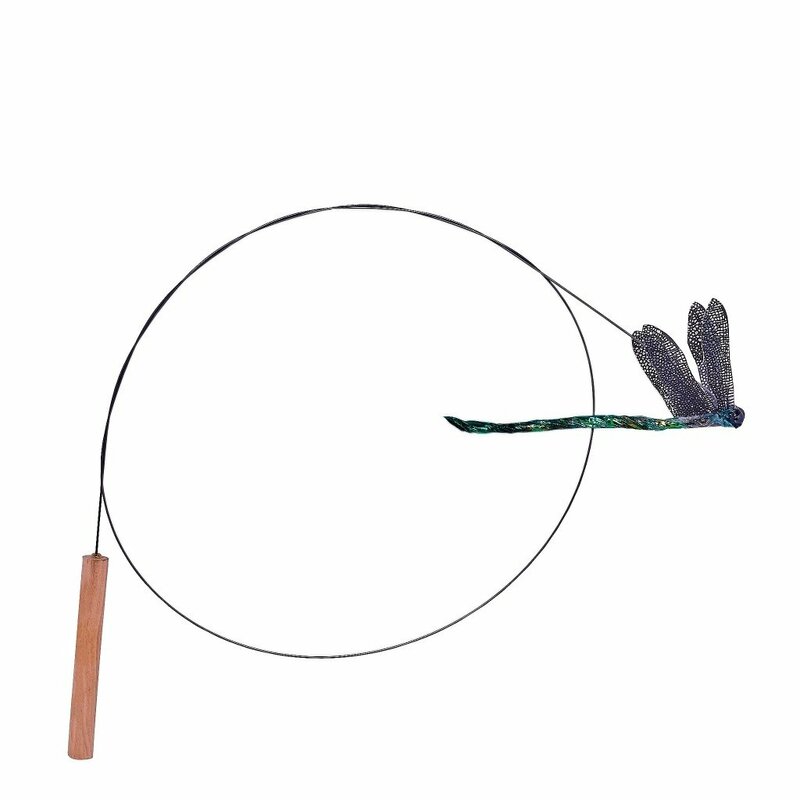 The dragonfly toy is one of our most favourite cat toys - ever! It's no wonder it's the top-selling item in the entire store! 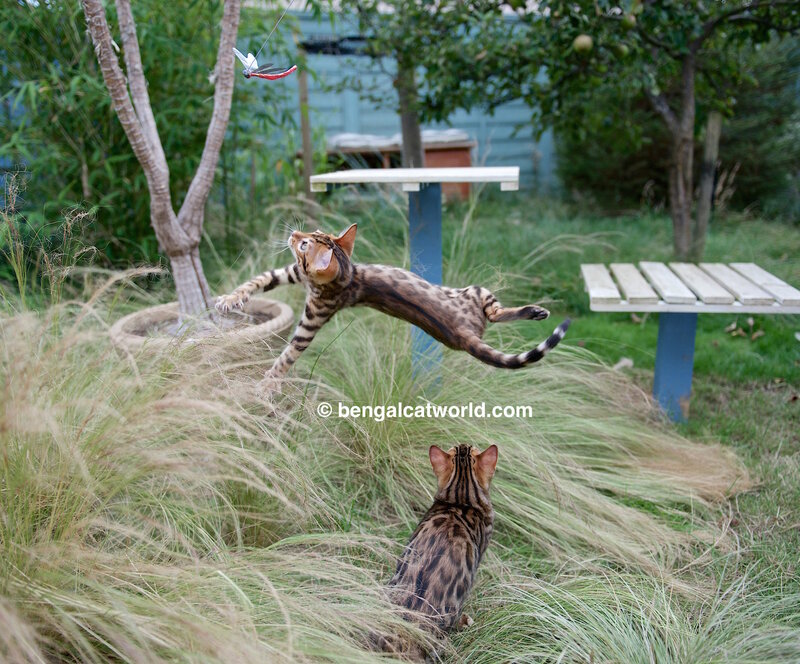 Why not let your cat have fun while they get some great exercise at the same time? 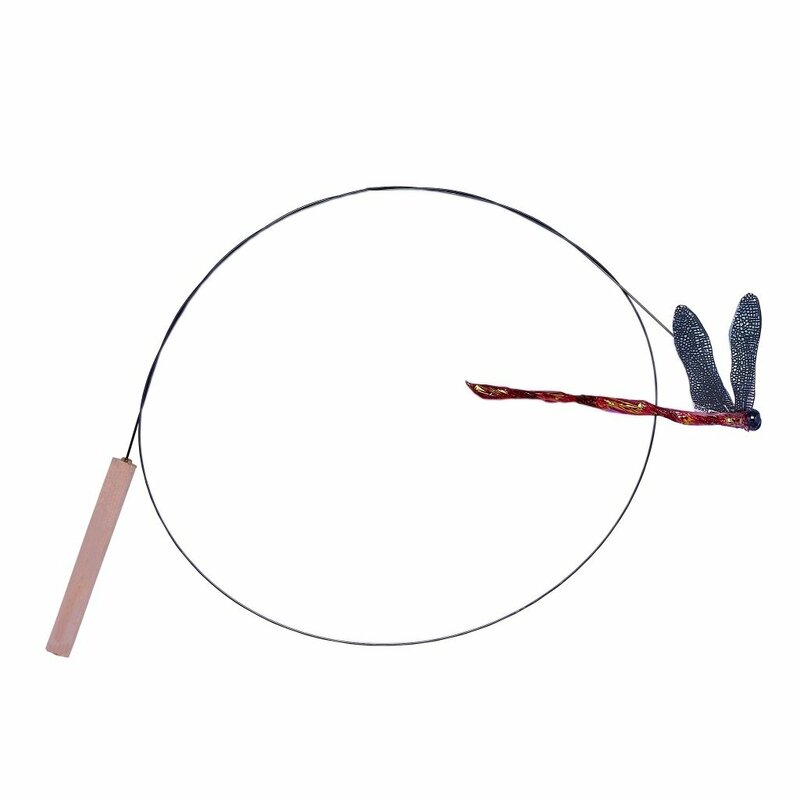 The toy has a wooden handle with a 3ft wire attached, and then at the other end of the wire, the prize of the dragonfly itself! 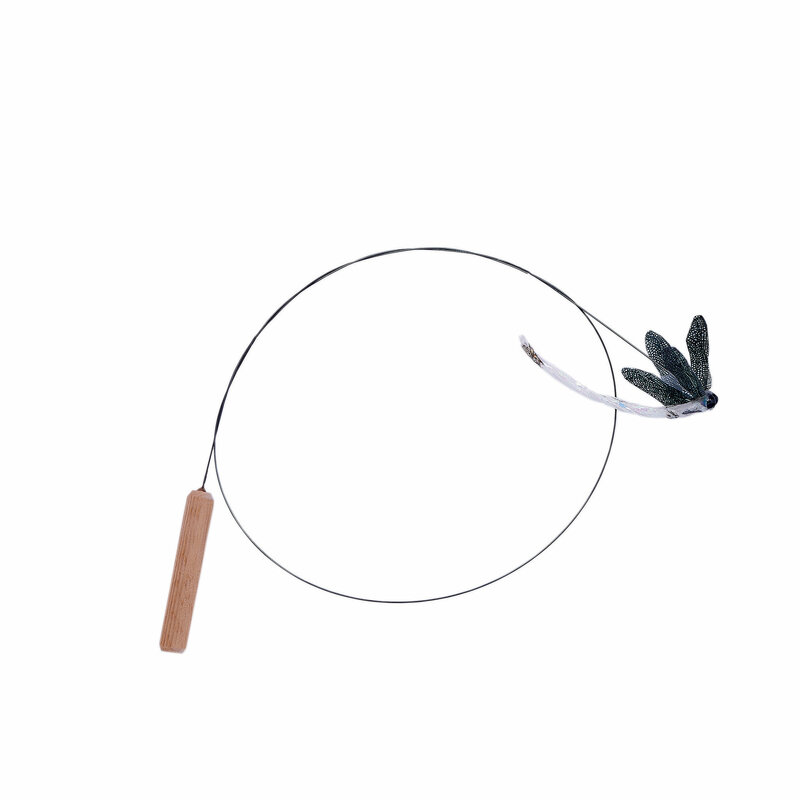 They are individually handcrafted to be soft to the touch, yet unbelievably durable. 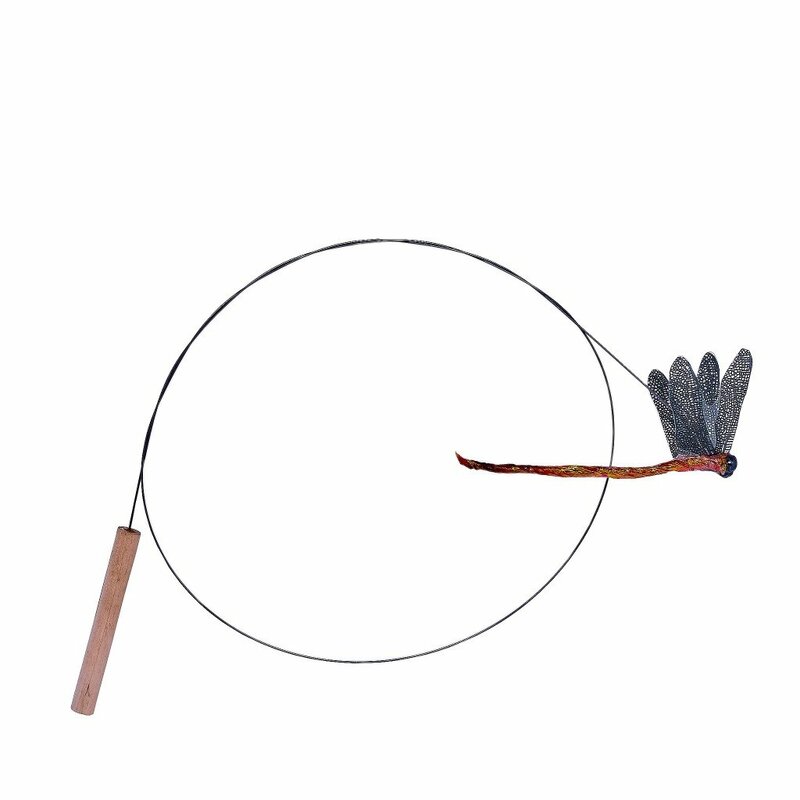 Constructed of Mylar and hematite beads securely attached to the wire and wooden handle. 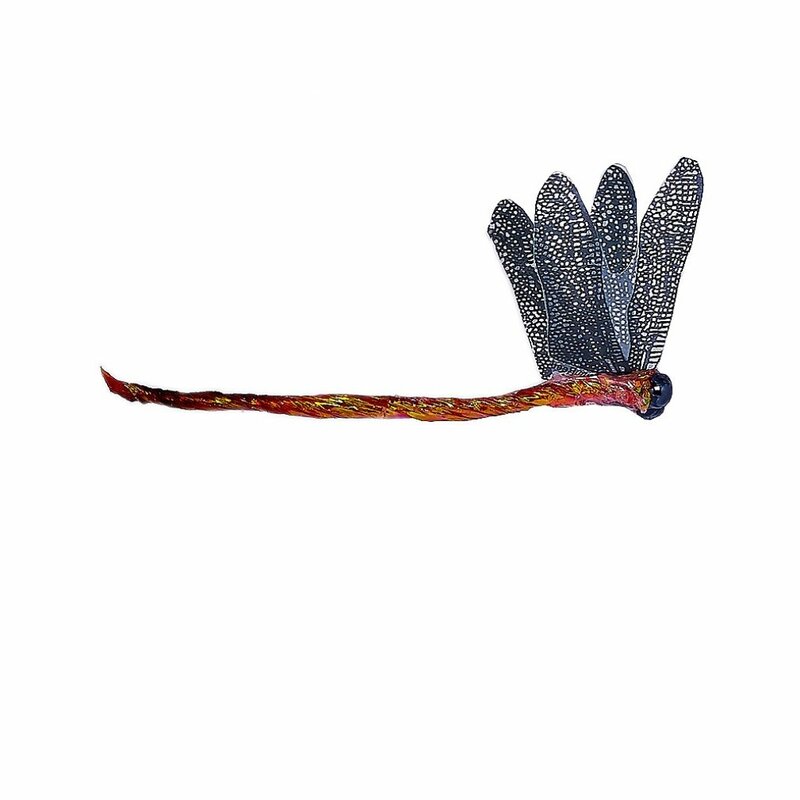 They're modeled after real dragonfly species from around the world. 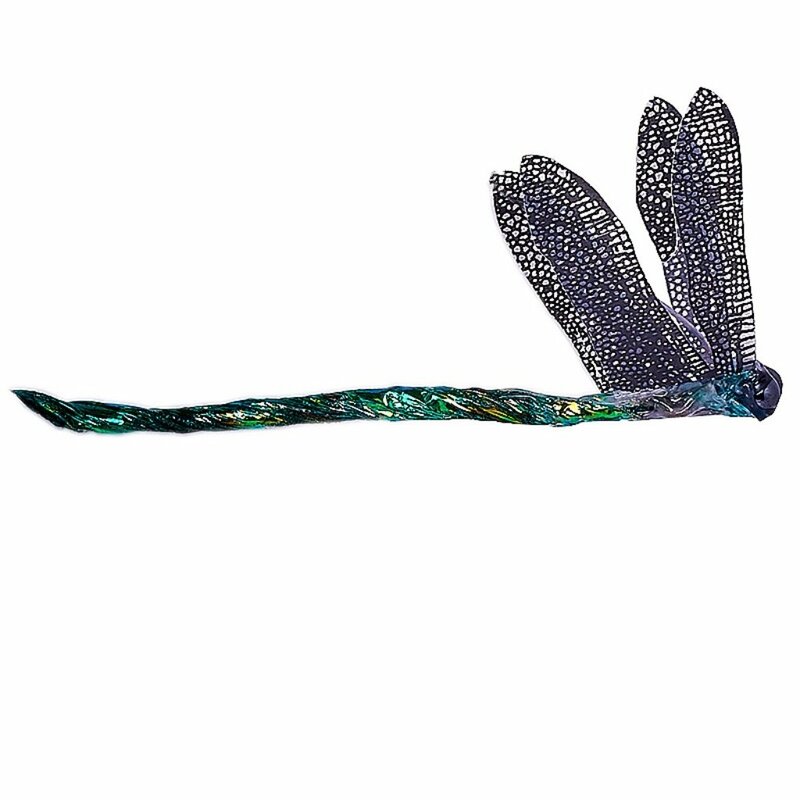 This copyrighted product looks like, moves like, (and when attacked) sounds like a real dragonfly! Much attention has be paid to the balance points to give the toy a very realistic movement while at play. 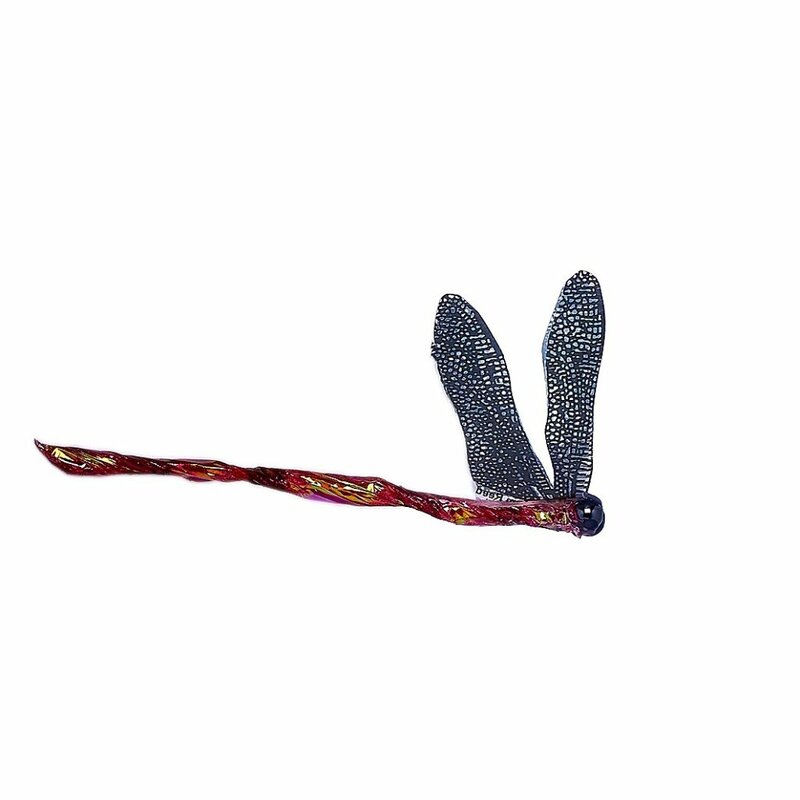 The wings actually make a realistic sound when the cat strikes at it, or when it is slapped against a hard surface. With a simple twist of the handle an area of 6-8 feet can be covered. Please note: Your cat should only play with this toy under human supervision, please put away in a safe place in between uses.